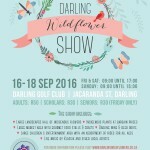 Darling Wildflower Society has been around now for more than a century and the Society’s Show takes place annually over the third weekend in September. It celebrates an integral part of the Cape Fynbos Kingdom comprising of Renosterveld, Rietveld, Sandveld, and Strandveld where more than 1200 different species of flowers can be found. 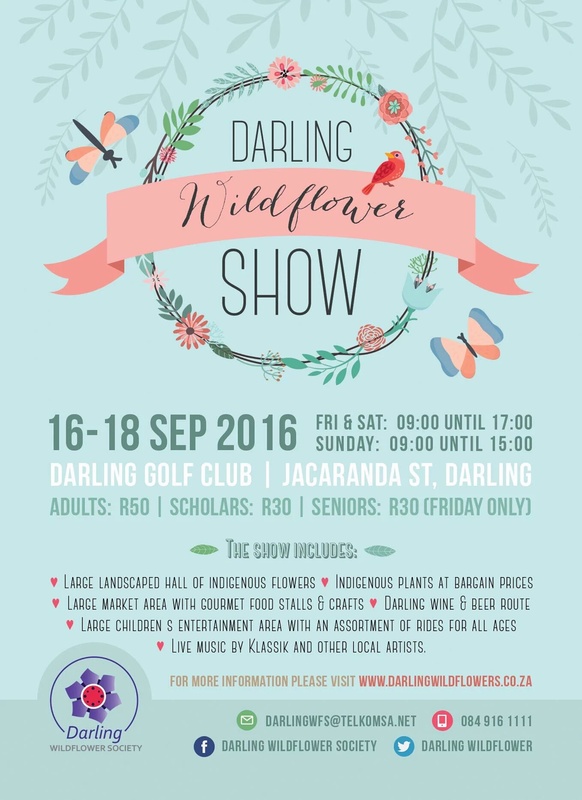 The Darling Wildflower Show will be offering a variety of activities to entertain young and old, and on Friday, 18th September, entrance for pensioners will be only R30! 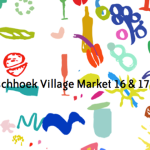 Your ticket includes entry to the Landscaped Hall depicting the flowers of the area in their natural habitat; a free ride on a tractor-drawn wagon to see the pristine wetland at Oude Post which is not normally accessible to the public and may only be visited during the Show; a Craft & Gourmet Food Market; Veteran Tractor/Car Display; an Entertainment Tent featuring live music from the famous Swartland band, Klassik and other local acts, with safe and secure parking for vehicles.